There has been no shortage of discussion on the topic of summer reading, but as ’tis the season, here’s another piece! As the end of the year approaches and a flurry of school events come and go, it seems to be the library-mission related topic that is most visible and most on the minds of school community members at the moment. This will be our third year of using a student-driven summer reading model first inspired by a presentation from a fellow independent school librarian at our state affiliate organization conference several years ago. 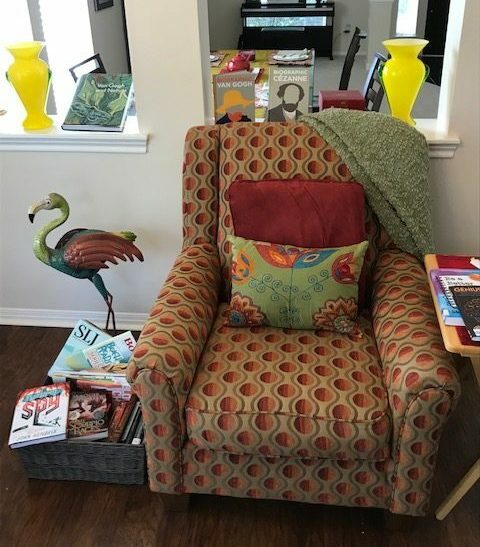 I know many schools have been approaching summer reading in similar ways and each school whose summer reading process I’ve taken note of “does” summer reading a little differently to fit their own school mission and reading community. I’ve learned a few things about summer reading at our school over the last two years and I’m sure I have more to learn this year as things come together. 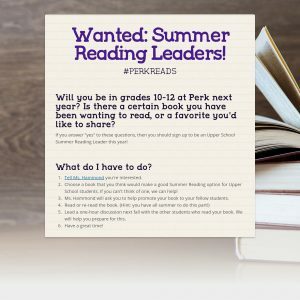 To sum up our method: starting in the winter, I recruit Summer Reading Leaders (SRLs) from the ranks of returning students in grades 9-11 (rising sophomores-seniors). I make announcements, send out visually appealing emails, and speak face-to-face with students. Together we select a book for each of them to put forth as an Upper School summer reading option. Some of these students know a book they’d like to share immediately, others need suggestions to choose from or a little re-direction. Once the list is final, the rest of the students rising to grades 9-12 fill out a Google form asking for their top three favorites from the list. I arrange the students into reading groups based on these preferences. Nearly everyone is assigned to their first choice reading group. When we return to school, a one-hour Summer Reading Group session is built into the orientation/pre-season sports days. The SRLs are in charge of leading discussions, or, for the more ambitious, activities during this time. I am always thrilled to see which students might volunteer to be SRLs and to see positive responses from those who are so happy to be asked. I am often tickled by their book choices, too. 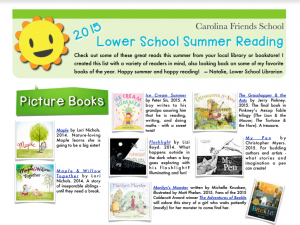 More choice means more student buy-in and excitement around summer reading. The peer-chosen factor is a big one here. We start the year on a positive note around reading. 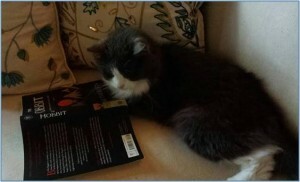 The idea is that everyone is reading something of their choice which ideally they also enjoyed. 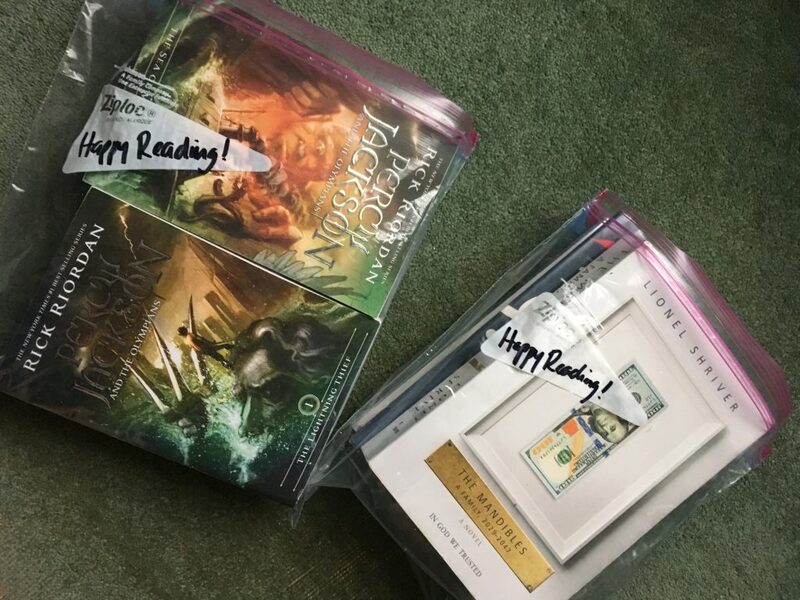 Through their choices, I get to know the students better as readers; especially those who don’t read for pleasure as much or new students who need to be welcomed into the library. When a SRL needs help choosing a book, I get a chance to promote something that deserves more readers, or else provide overlap with Reading Olympics or the PA Young Readers Choice Award. Relatedly, balancing the list takes careful consideration, as Christina Pommer posted a few years ago. The list has to appeal to many different reading preferences. Last year we had a couple of repeated books from the year before led by new SRLs. I was happy that I still had the previous year’s reading group rosters, as some students wanted to sign up for the book they had already read the previous year. While I was pleased they had enjoyed it so much the first time, I could refer to the old roster and assign them to their second choice. Keep Admissions informed of the process. Make book selection easy and friendly for new students. 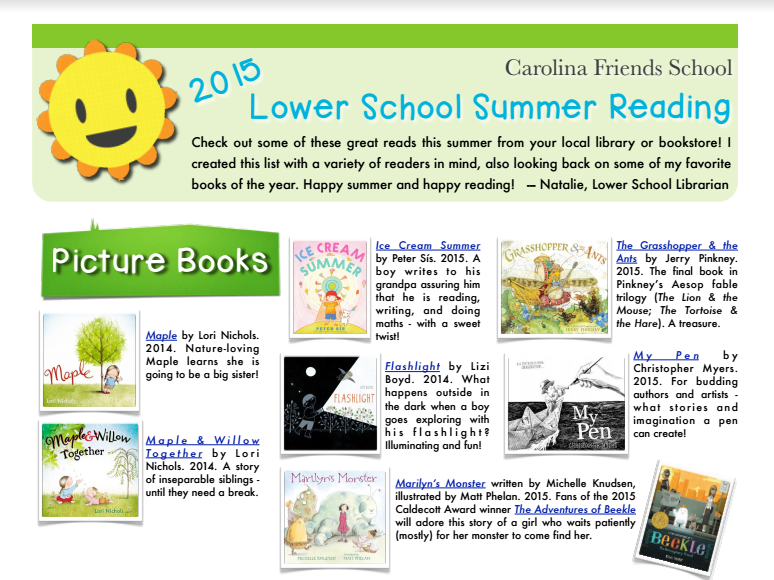 Seeing their book choices come in during the summer is a great entry to getting to know them before the year starts. It may be that the students who initially resist assigned Summer Reading will make great SRLs because it’s the SRLs who have the most choice in their Summer Reading selection. Check that the books are easily available; internationally, if applicable. A book fair can really help with this, or hold a book downloading help session before the end of the year. Through most of the school year, I worry that Upper School students generally don’t seem to be reading for pleasure very much. Though we put together physical and virtual book displays, promote new and seasonal titles through email and social media, set up pop-up libraries in different spots around campus, participate in Reading Olympics and book talk for classes and clubs, often it seems that this dynamic collection of super-awesome books is going unnoticed, spines in near-perfect condition with nary a stamp on the date due slip. I wonder whether I am promoting the collection enough, or selecting and purchasing books the students want to read. Maybe students are just not interested in reading library books, preferring to watch TV shows or read on Wattpad when their hearts and minds need a story. While these are important things to evaluate, I often forget about the simple and real factor of time. Like many of us, our busy college-prepping students just don’t have that much time during the school year to curl up with a good book that they love. Some make the time, but it’s hard to do. When a break rolls around, I am delighted by the reading that is all of a sudden part of the imagery of “how I will spend my summer vacation.” That’s when many students are ready to have a book put in their hands. When given the chance and an enticing array of choices many will welcome summer reading as the gift a good book is. There are a lot of great summer reading ideas to be found on the AISL wiki, listserv, and other places. 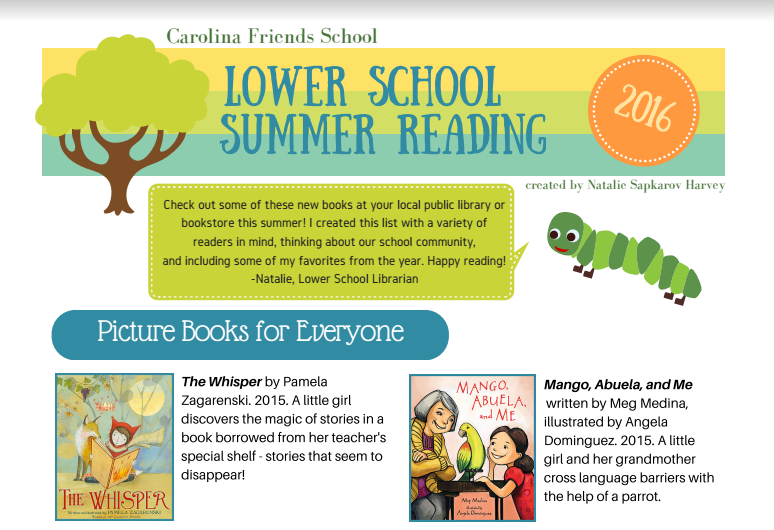 I’d love to see a comprehensive database of different summer reading approaches in our schools, so we can see others’ ideas and lessons learned. Anyone with me? Jumping the Gun on Summer Reading? It’s almost spring break, and so my mind is turning towards….what….summer reading??? I’m betting that my students would be shocked to learn that my internal goal involves having the framework set by spring break. This informal list lets me, or other teachers, read any books that have been recommended but that are unfamiliar to us. I’m sure the students have never thought about the magic behind the curtain of a well-produced list. Instead, selections are unveiled at a fast-paced assembly on the final day of school when teachers each have a minute to whimsically “pitch” their books to the students. 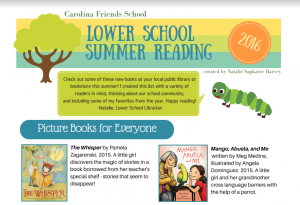 Since upper schools operate all sorts of summer reading programs, here’s some background on ours. We have one community book that all high schoolers read. Discussion takes place in advisory and focuses more on personal growth than on literary merit. All students must also read a book of their choosing from a list of 12-15 teacher-sponsored books. Some AP courses also require course-specific summer reading, although that’s decided by the individual teacher. Finally, the division directors each sponsor a professional book for the faculty to discuss the week before school starts. In a practical sense, this means that all teachers read at least three books over the summer, and all students read at least two. 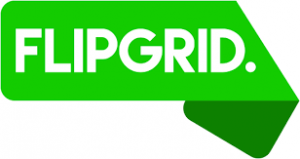 Short comprehension quizzes, mainly multiple choice, are given in the discussion groups, and summer reading is a requirement that is marked on student report cards. This has been a series of compromises, most notably the quizzes. I have mixed feelings, which now lean slightly towards supporting them. I’m curious to hear your thoughts below. For years, we had some students who did not complete summer reading. Every year, a few of these students would brag to their friends about getting away with not reading. Even worse, they’d tease their friends for wasting their time reading. (Mind you, we’re talking numbers you can count on one hand…) Thus, administrators added the summer reading completion component to report cards. However, teachers leading book discussions felt that they could not always tell solely from participation whether a student read or not. They didn’t want to send kids in the direction of the principal simply for being quiet. The rules for quizzes are simple. No trick questions. No sneaky answers. If a student read the book on the beach in May, he should pass the quiz in school in August. Here are three sample questions from our most recent community book, The Hobbit. Who is the leader of the dwarves? What is Bilbo’s stated role on the quest? Throughout his travels, what does Bilbo say he most misses about home? All justification aside, I hate testing students on summer reading. I think that basic comprehension tests undermine the complexity of reading, and they imply that students are completing an assignment for a grade. At this point, however, students expect the quizzes at the beginning of their discussions. Many teachers will finish with a free response question that they’ll use to begin the discussion. Since our threshold for passing is 6 out of 10, students who have read are generally not too anxious about the process. Looking at the examples above, if you’ve read The Hobbit in the past 10 years, I hope you’re at least two for three. Something students wouldn’t be embarrassed to read on vacation, on an airplane or in a coffeeshop. 2009 – Ender’s Game by Orson Scott Card – The students were more skeptical than the teachers of Ender’s young leadership, though a fair number picked up Ender’s Shadow in the fall. 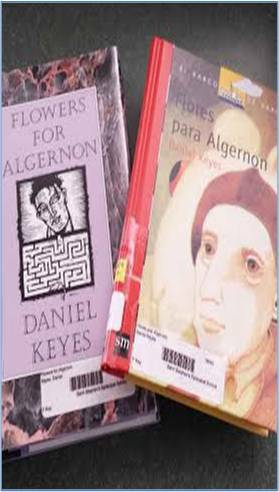 2010 – Flowers for Algernon by Daniel Keyes – Students refused to admit they liked it. The intensity of their emotional response to Charlie and Algernon’s plight showed that they connected with the story. 2011 – Zoo Story by Thomas French – This book focuses on the management of a zoo about an hour north of us at the turn of the twenty-first century. Most students were more interested in the sections about animals than those about humans. 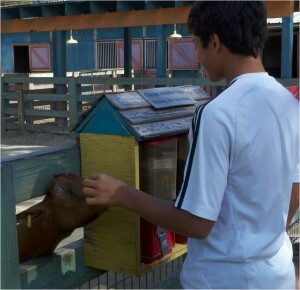 They loved visiting the animals in person on a fall trip to the zoo. 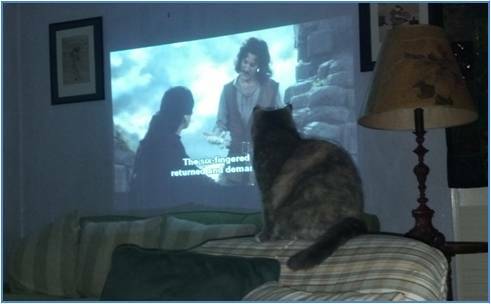 2012 – The Princess Bride by William Goldman – We required them to watch the movie and read the book, which led to some fabulous discussions on adaptation. The book is a hilarious satire, though that sadly went over the heads of many of our less adept readers. 2013 – The Hobbit by J.R.R. 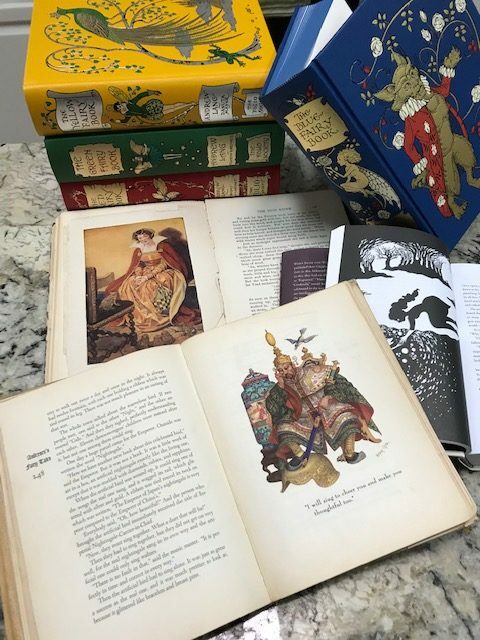 Tolkien – More people read more thoroughly when it’s a book that’s well below their reading level, but some people who encounter unfamiliar fantasy vocabulary don’t give fantasy books a shot. Also, you can tell if someone’s just watched the movie. Moral of the story: You can’t please everyone all the time. Top surprise hits in the sponsored book area were: Twelve Mighty Orphans by Jim Dent (thank you to whoever on the AISL listserv told me about that book last year when I was soliciting suggestions) Pure by Juliana Baggott, The Pregnancy Project by Gaby Rodriguez, The Cardturner by Louis Sachar and Stuff: Compulsive Hoarding and the Meaning of Things by Randy Frost. Let me know if you want annotations and reviews for any of these books, or, alternately, books that didn’t go over as well. Continue the conversation below. 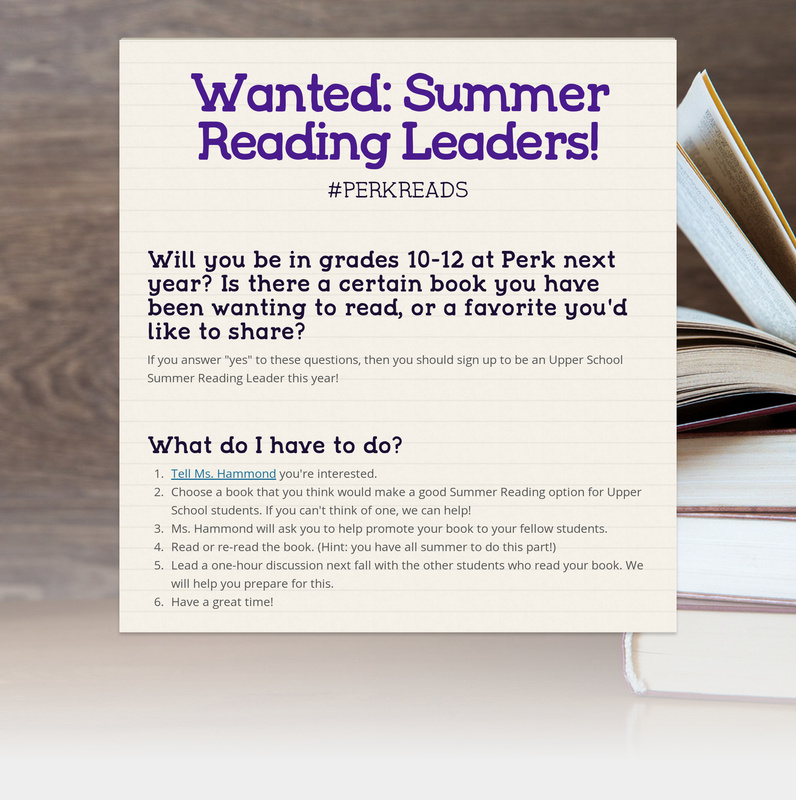 What have you done to improve your school’s summer reading program? What books have most resonated with the students?